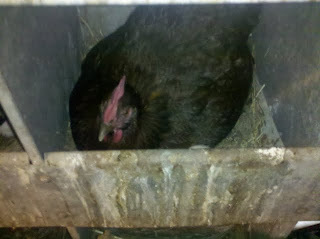 I mentioned the other day that we had some broody hens in our hen house who were trying to hatch eggs. 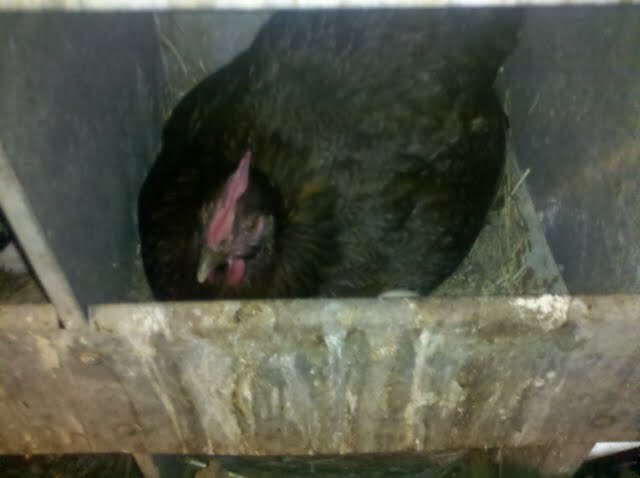 This means that they sit on the eggs all day only breaking to get up for food and water. Every time we’ve gone in, they’ve been in the laying boxes. 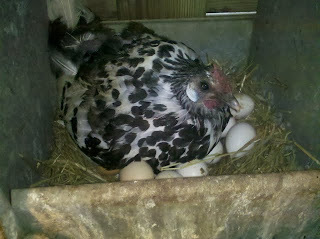 Minus the 2 fake decoy eggs (to teach the hens where to lay eggs), that is 20 eggs she is trying to hatch! 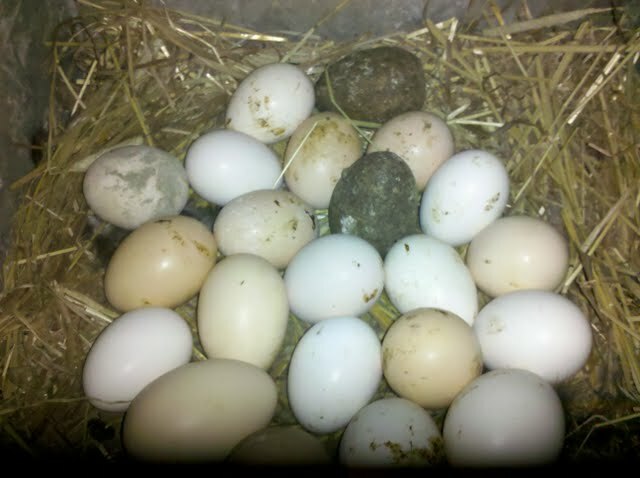 That means we’re going to have like 20 chicks in about 2 weeks!!! ACK! So this weekend, Rob has got to build a new hen house and clear out the rest of the chickens. The other hens and roosters will kill the baby chicks but the mothers won’t touch them (or each other since they won’t know whose is whose, lol). Exciting stuff for the Chicken Scoop!!! PS. Sorry for the blurry photos. Rob used his phone when he had the chance to get a picture! Work with what you’ve got!